On the Peak Day of Tone 7 we reach the top of the pyramid. We are brought into Perfect Balance by Dog/OC. In the Seed/KAN trecena that leads us to a Higher Consciousness of our Dynamic Self, we are brought into balance by Dog’s Unconditional Love. The cycle of 10 Portal Days bears evidence we’re being led to a major transformation. Muluc called us to recognize and honor our feelings so we are present to recognize the Language of our Heart. The Balancing Place of this Sacred Seed/KAN trecena is aligned in synchronicity with the Equinox. On this 260-day round of the Tzolk’in round we experience a Balance of Darkness and Light. Offering/MULUC drew awareness to our Emotions so we could see how our Darkness and Light work together to Draw our Oneness with the Creator. Dog/OC establishes our Balance through Unconditional Love for every Experience. PORTAL DAY: This is day 5 of our 10-day journey through a Spiritual Portal that thins the veil to other dimensions. The Portal magnifies our Consciousness of Divine Support. On the Eve of a New Year as it is observed by the K’iche’ Maya that Honors each of the Kin that led us here, a Portal Magnifies their Presence. 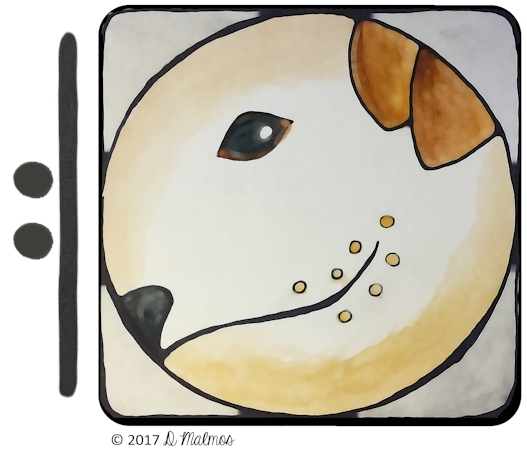 MULUC opened our Hearts for Dog/OC’s gift of Love. Tone 7 holds the Intention for our Reflection. We stand at a vantage point where we can see in all the Directions of our Life. We are given the Vision to recognize a Language without Words. Looking to the East, we receive Love in the Light of a Sun that perpetually offers us a New Beginning. In the South, we can see the Fellowship of Love that is offered through our Relationships with One Another and the Natural World. In the West, we see the Darkness of our Unknown Experiences as the Love that draws us to Light. And, in the North, the Love of the Creator’s Intention of Human’s Divine Wisdom of Consciousness. Every Direction of Living holds a reflection of the Creator’s Unconditional Love. Dog/OC can raise our Consciousness to the Unspoken Language of Love. As we remember our furry friends, there is no spoken language. Yet, we have no doubt of our Spiritual Communion. Dog and Monkey are God’s two creations most adept at expressing themselves. No words are needed to understand Dog when you come in the front door. Dog/OC would help us see how our Greatest Expressions of Love are Not Words at all. We can reflect on the Loving Ways of Dog to recognize the Unspoken Language of Love. Dog is Faithful. We demonstrate Love when we are Faithful to One Another. Dog holds no offense when Love is not Returned. We Speak Love by not taking things personally, and allowing others the Authority of their own Choice and Experience. Dog is a pack animal. We communicate our Love in the Choices we make that first consider the Highest Good of the Whole. Through reflection we can see the Unlimited Ways Love can be expressed without words. When we apply Unconditional Love to our Way of Living the Light of Love is Evident to See and Experience. Dog is the totem said to be our companion even beyond death. Our Consciousness of Love is a permanent Gift to our Spirit. We only have to look around us at the Beauty of the Natural World to see the Creator’s Demonstration of Love that would always be before us, no matter which direction we turn. In every experience there is Evidence of Love. Even in our struggle and challenge, our Heart is Filled by a Calling of Spirit to seek God’s Love that would transform our Darkness to Light. Today the World shares a demonstration of Unconditional Love as a Holy Alignment. As the Earth makes its rotation, Sacred Sites built by our ancestors will reflect a synchronicity of alignment as the Sun moves beyond its zenith toward a New Day. 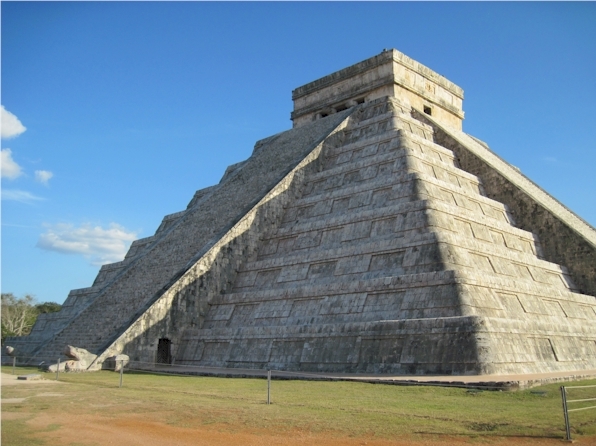 The pyramid at Chichen Itza reflects the descent of Kukulkan, symbolizing the Spirit of the Creator coming down to Earth. We stand at the top of the pyramid on Tone 7 to receive Unconditional Love coming down to connect the Above and the Below. Love is the Purest Vibration of Spirit. Dog would help us to reflect again on the Power of Love to draw discordant vibrations into sympathy. Our Love is the Source of a Dynamic Energy that is capable to Transform all our experiences of Living. When we demonstrate the Ways of the Dog, we engage the Dynamic Power of our Spirit. We can become the Light of a Single Candle that dispels the Darkness for the Whole. At the threshold of a Holy Celebration we would Acknowledge the Light that has been offered to us by those who have gone before. 7 Dog/OC marks the last day in a 260-day Journey we could compare to an expedition of Love. I think of the Sacred Fires that would be started today at Sunset to mark the Celebration of a Homecoming. The Offering of Love we Bring is the Light we transformed from a 260-Day Journey into Darkness. A Host of Divine Agents wait to Receive us to Celebrate our New Light. In Perfect Balance we will Celebrate the Ones who led us here. In the round of my 66th year of living, my thoughts were called back to a Sacrifice of Love that inspired my path. In 1983, Shirley MacLaine published her book, “Out on a Limb.” She went “out on a limb” to express the authenticity of her own Spiritual Experience. I remember so clearly the jokes made of her “wild ideas” on late night TV. She was a pioneer in the Western World’s acceptance of mystical tradition and experience. For me, her book was a demonstration of the fullness of Spiritual Experience that the Creator intended. I was 33 when she opened the Way of my Journey that is called back to memory now at 66. I found Shirley MacLaine was born with the Destiny Kin of 3 Offering/MULUC – a symbol of One who Sacrifices themselves in a Divine Intention to Connect the Whole by serving as a Hand of God (born in the trecena of Deer/MANIK). I see the Language of Love in the numbers. The Master Number 33 is a symbol of the Holy Trinity reflecting a connection made to the Divine. The Master Number 66 is a number of manifesting the Balance in our physical, material and spiritual lives. I see the Truth of Divine Justice in perfect balance from a reflection of Wisdom offered 33 years ago. This is an important time to reflect on the Light we are given. Our eyes are opened by Dog/OC to Re-Member all the Demonstrations of Love that led us to this place. Through Tone 7’s power of reflection, you can discover a synchronicity that reveals the Love you have Received by a Demonstration. To all my relations, may we reflect on the Unconditional Love we are offered each day by a Demonstration of the Creator. As we move into the Holy Day of 8 Monkey/CHUEN (8 B’atz) we arrive at the 8th Tone of the 8th Uinal of Divine Justice. 8 is the Number of Pure Spirit and the Peak Day of the trecena when a Divine Agency returns the Justice of Harmony and Equity. The Creator intended us to experience the Greatest Joy of Living as every experience of Darkness was Intended for a Transformation of Light. 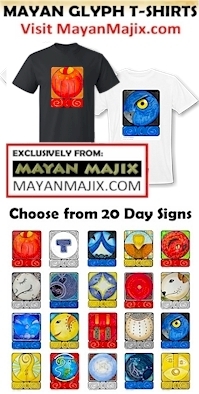 MAYA NEW YEAR PAGE: My offering for the Mayan New Year, 8 Monkey/CHUEN (March 21) is a meditation for those seeking ways to Honor each of the Days that led us to the Dawn of New Awakening. 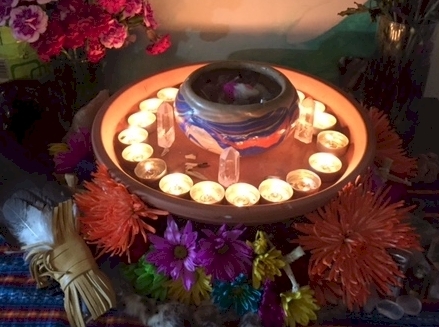 In the tradition of the Maya, a Sacred Fire Ceremony is opened by a “Count of Days” that calls the names of each of the 260 Kins of the calendar. Included are chants used to Honor the 4 Directions of the Sacred Medicine Wheel path from the Native American tradition. My own tradition is to set an altar with 20 candles in recognition of each of the 20 Day Signs. Cherokee, Wolf/KANA’TI: Wolf is symbolized by Sirius (Dog star) and Antares, one or the other always visible but never at the same time. Wolf is our brother, shares our very roots. Wolves are a connecting link between the worlds; ones who inspire loyalty, diplomacy and sense of humor with unlimited potential. GREEN DAY: Today is the second of 10 consecutive “Galactic Activation Portals” that will magnify our experiences. This is a thinning of the veil, that remains open for 10 consecutive days. 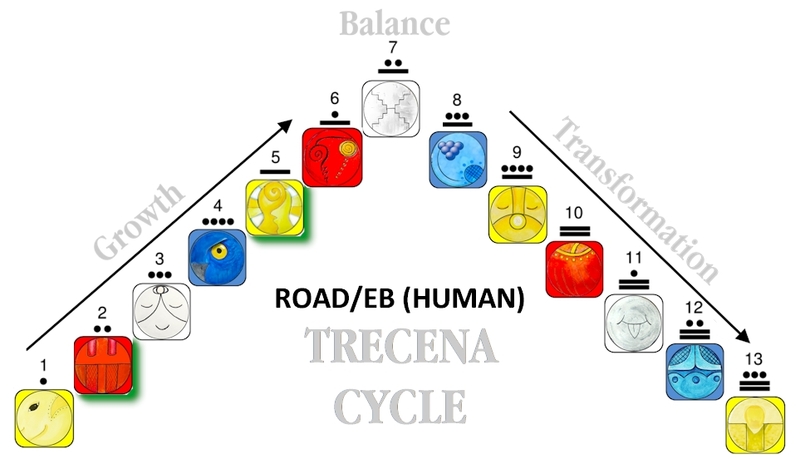 The trecena of Seed/KAN has the power to bring forward the conscious awareness of the inherent power of Spirit through the 5th Element of Ether. I so appreciate your work-and I can surely attest to the light and darkness contrast going on right now for me. I needed this post to remind me that love does not abandon us.